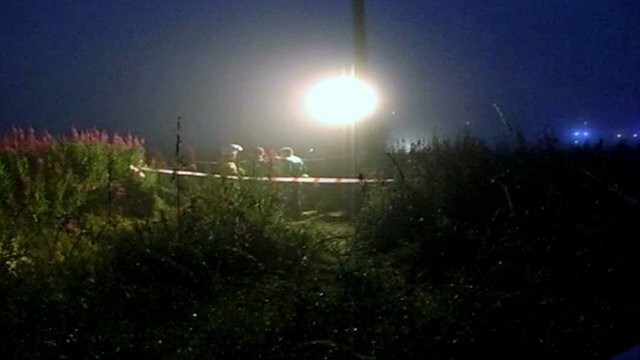 A woman who died after falling down a mineshaft in East Ayrshire might have lived if emergency services had removed her sooner, an inquiry has found. Alison Hume, 44, fell 40ft into the disused mineshaft in Galston in 2008 while taking a shortcut home. She lay for six hours after health and safety rules delayed a rescue. Mrs Hume died after suffering cardiac arrest while being brought to the surface. The inquiry said fire crews were not fully familiar with rescue equipment. Mrs Hume, a solicitor who worked with the Renfrewshire legal firm McCusker McElroy and Co, fell into the decommissioned Goatfoot Colliery mineshaft shortly before or after midnight on 26 July 2008. She was found by her daughter, and emergency services were called to the scene at about 02:15. The mother-of-two was eventually freed by mountain rescue experts at about 07:42 and was "profoundly hypothermic" and in a critical condition having suffered a pneumothorax, broken ribs and a broken sternum. 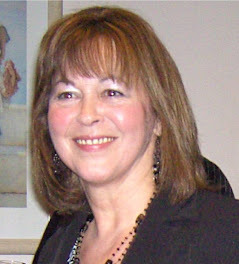 Mrs Hume suffered caridac arrest while being brought to the surface and later died in Crosshouse Hospital, Kilmarnock. 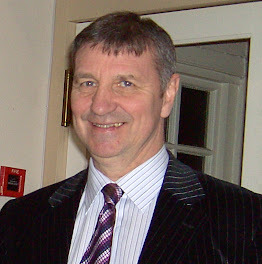 The resulting fatal accident inquiry (FAI) at Kilmarnock Sheriff, under Sheriff Desmond Leslie, was originally adjourned at the end of March 2010. It made Scottish legal history, however, when it became the first inquiry to be re-opened twice. The first time, in August 2010, was scheduled after a retired firefighter contacted Sheriff Leslie about safety rules. The inquiry re-opened for a second time in February this year to hear from a leading member of the Scottish Cave Rescue Organisation. During evidence the inquiry heard that Ms Hume's rescue was delayed as firefighters who volunteered to be lowered down were over-ruled by senior officers for health and safety reasons. They were apparently told they could not aid Mrs Hume because regulations stated their equipment was for saving themselves, not members of the public. In the inquiry findings, Sheriff Leslie states Mrs Hume's death "may have been avoided" if a number of "reasonable precautions" had been taken. These included, early identification by Strathclyde Police and Strathclyde Fire and Rescue Service of the stability of the mineshaft and surrounding area. The sheriff said an early assessment of Mrs Hume's medical condition, with an "appraisal of the likely dangers of a prolonged stay in cold and wet conditions", would also have helped. He said fire crews should have had a "thorough understanding of the capability and properties of line rescue equipment... and the level of training of fire fighters in the use of that equipment". Finally, Sheriff Leslie stated that there should have been "a rigorous and thorough risk assessment by Strathclyde Fire and Rescue Service" which balanced the conditions in the mineshaft with the condition of Mrs Hume and time it was taking to rescue her due to "restrictive Strathclyde Fire and Rescue Service corporate policy". The FAI also highlighted a number of "defects in the system of working" which contributed to Ms Hume's death and the accident resulting in her death. It said Strathclyde Police and Strathclyde Fire and Rescue had an "inadequate knowledge... of the range of potential rescue resources available to assist in a rescue operation" and that there had been a "failure to communicate with these resources". Sheriff Leslie found there was a "lack of understanding and familiarity" among rescue personnel about the potential uses of the equipment at their disposal. He also highlighted a "lack of multi-ability training for emergency services personnel", and said fire crews had a "lack of advance first aid training". The FAI said there was also a "lack of rope access capability amongst Fire and Rescue personnel and paramedical personnel". 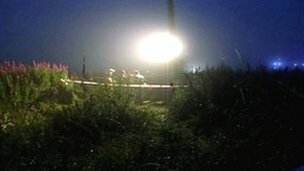 Sheriff Leslie stated there was an "over reliance on the delegation of rescue functions by Strathclyde Fire and Rescue Service" and "inadequate pre-planning for mine and mineshaft rescue". He also said there "should be continuous assessment of emergency and rescue resources by all rescue and emergency agencies" and these capabilities should be "regularly communicated" throughout management levels of each agency. In his findings, Sheriff Leslie acknowledged the "bravery and selflessness" of fireman Alexander Dunn who volunteered to care for Mrs Hume as she lay at the bottom of the mineshaft. He also acknowledged "the very considerable effort made by Andrew Parker of Strathclyde Police Mountain Rescue Team who with Mr Dunn brought Mrs Hume to the surface". The sheriff noted they were supported by colleagues from Strathclyde Fire and Rescue Service, Strathclyde Mountain Rescue Team and the Scottish Ambulance Paramedical team. He said those who helped tried to do their best "despite their frustrations and anxieties... in very difficult circumstances" to rescue and save Mrs Hume. Sheriff Leslie added: "I extend the sympathies of the inquiry to Mrs Hume's family who acted with great dignity and stoicism in the face of some very harrowing evidence."